Ice storage capacity: 11 lbs. 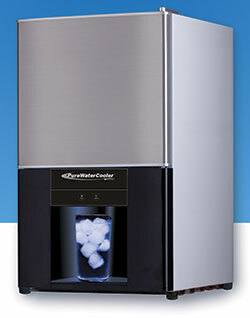 Space-Saving Water Dispenser with Ice-Maker for your cold water needs. 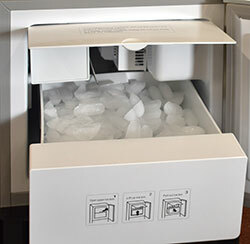 The ice bin with built-in auger slides out easily for convenient cleaning.